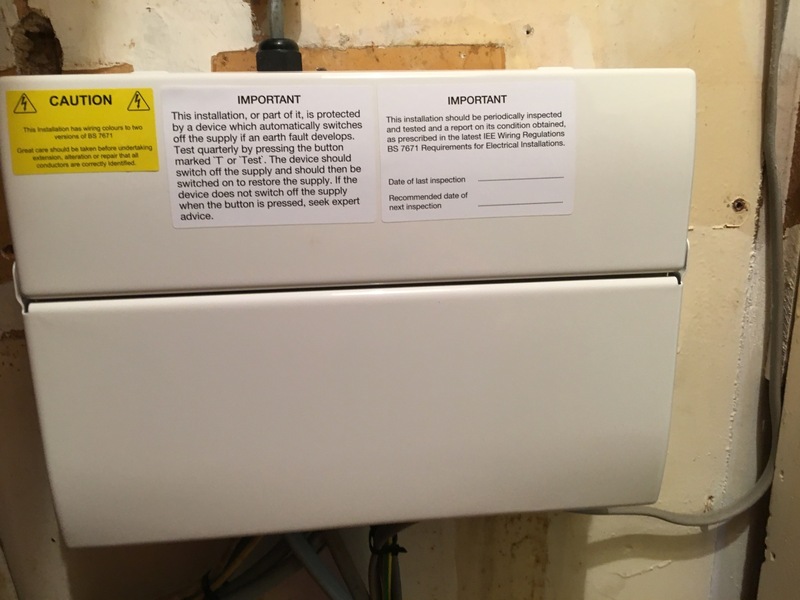 To the left you will see an old consumer unit, under the current regulations all additional work must be covered by an RCD (Residual Current Device) also known as an Earth leakage trip. The customer asked could I change the whole unit, which you will see to the right. 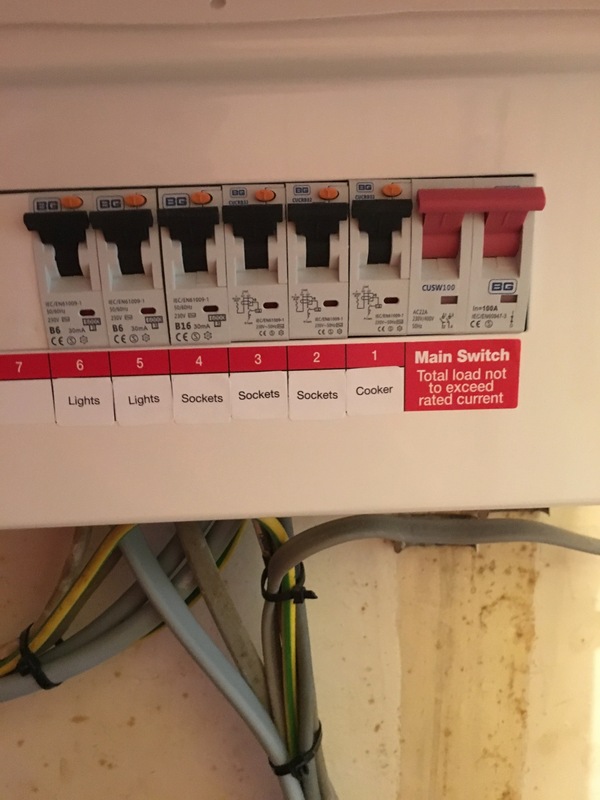 The type of board used uses RCBOs (Residual current Circuit Breaker with Over-current protection), this breaker will break a single circuit if a fault occurs, which will not affect any other circuit in the house. 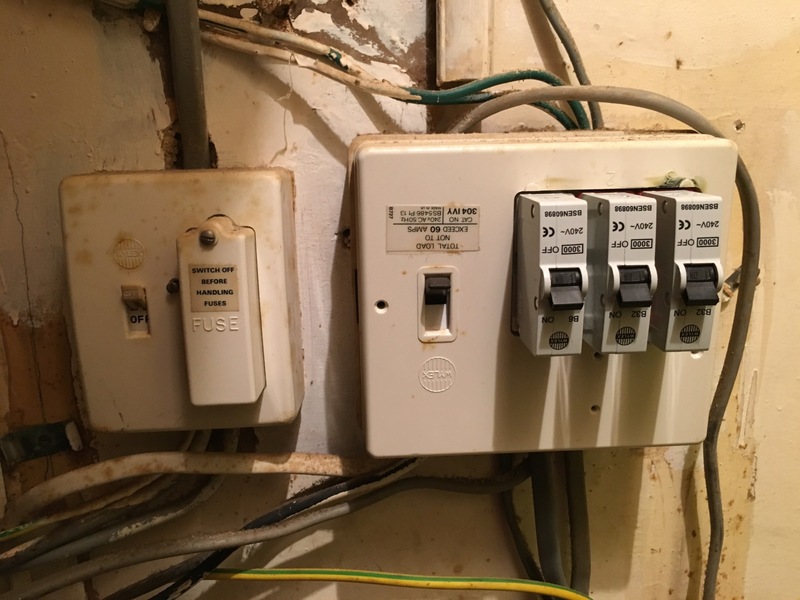 A cheaper alternative is available but this would affect half the homes electrics should a fault occur.